Supports the Cardiovascular System. 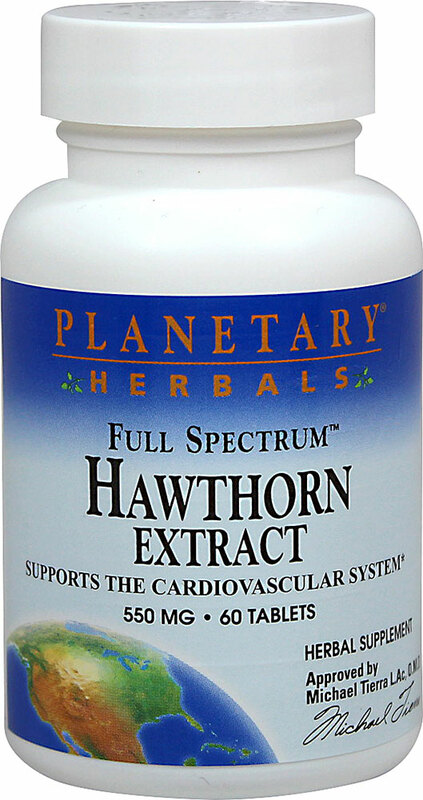 Planetary Herbals Full Spectrum™ Hawthorn Extract combines a concentrated extract of hawthorn leaves and flowers with the whole berries, to deliver a full spectrum of valuable hawthorn constituents. 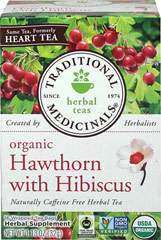 Hawthorn is the primary herb used by herbalists in America and Europe to support a healthy heart. The leaves, berries and flowers are rich in flavonoids and procyanidins renowned for their ability to support the normal activity and integrity of the heart.